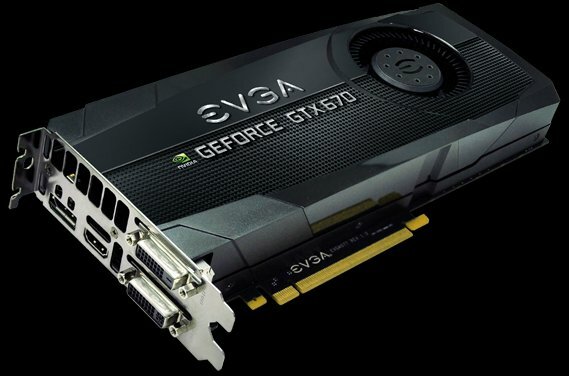 EVGA added five GeForce GTX 670 cards to its lineup. It includes a stock model with 915MHz base, 980MHz boost and 6008MHz memory, a SuperClocked version with the base overclocked to 967MHz and 1046MHz boost, and a FTW edition with a GTX 680 style cooler, 1006MHz base and 1084MHz boost. Both the standard and SuperClocked version are available with 2GB or 4GB GDDR5. Full details and pricing can be found at EVGA.